Standard textbooks used to teach social studies are like encyclopedias in which facts follow facts and no sense of drama or story exists. Students discover that things happened but rarely is it clear why they happened or whether it mattered. Often the result is that young people tune out the past. Americans All texts incorporate narratives and visuals (i.e., posters and photographs), and our music CD contains original recordings of songs representing diverse ethnic and cultural groups. All aim to accommodate students’ different interests and learning styles and keep them engaged. Engaged students are more likely to stay in school. 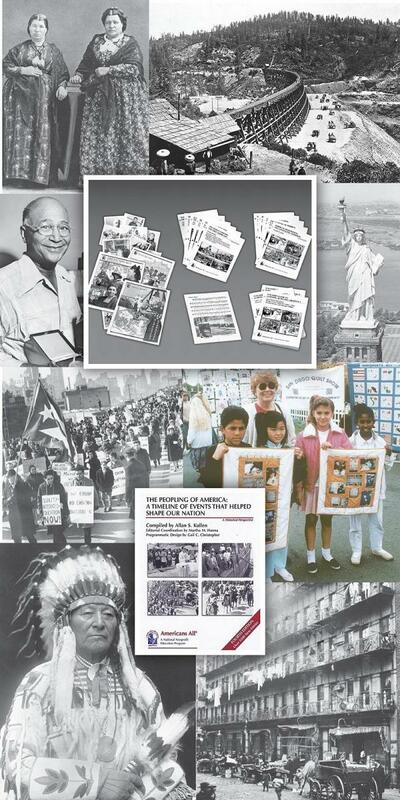 Our instructional resources also focus on studying social studies from multiple perspectives; this inclusiveness can be a catalyst for diverse students learning how to interact respectfully and productively with all people in our nation and world. Click here to view the instructional video created by Dr. Gail C. Christopher and The Houghton Mifflin Company.